I’ve added some new photos to my Etsy Shop! I must admit, I’m not fond of rain anymore…not since I moved to Florida. It rains way too much here! I use to love playing in it when I was a kid. I still love the smell of wet earth and wet sidewalks though. When it just starts to rain, and the sidewalks and the ground gets wet…I love that smell. My glazes smell like that…wet earth. 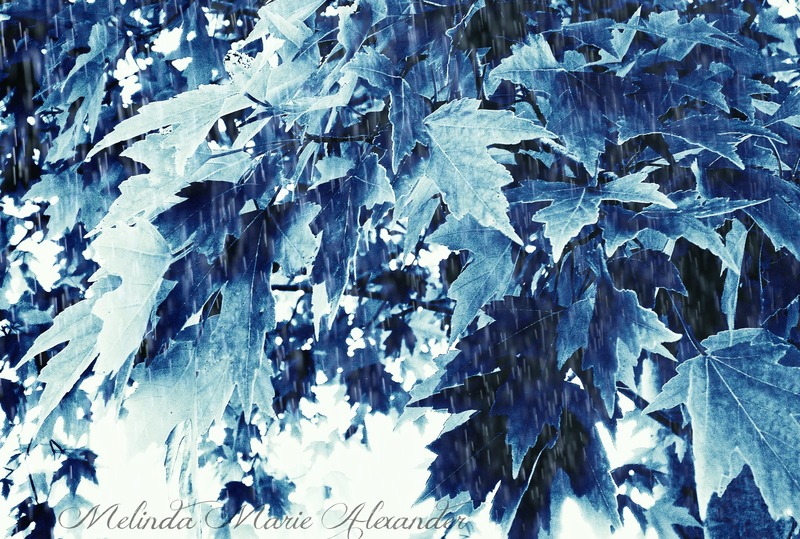 This photo is so beautiful, it makes me want to jump inside it and play in the rain! I love this one! It’s so hauntingly eerie and spooky looking. I love how this typography print came out! 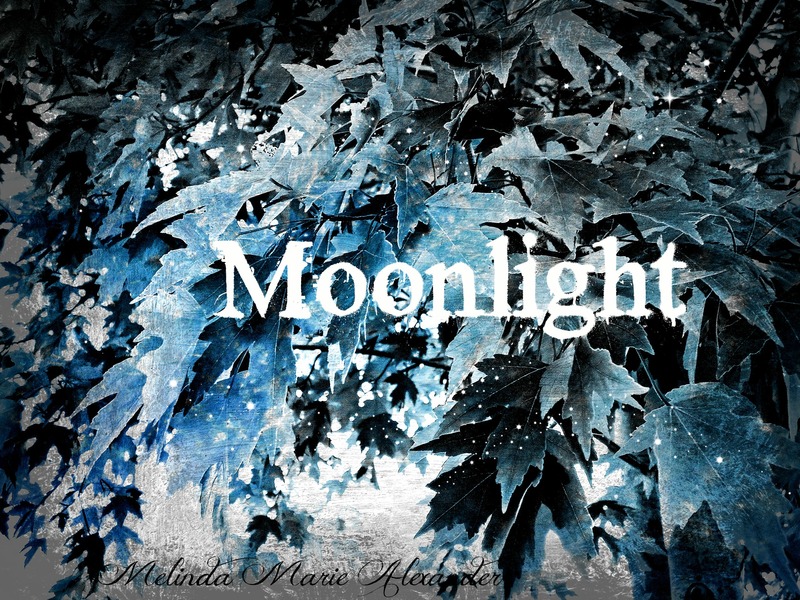 I love the color combinations of black, gray, several shades of blue and white…with glittery little stars here and there. I love how the darkness is around the outside edges and the light is shining in the middle. I think I’ll list one without the typography also. I absolutely love this one! The different shades of blue, go from dark and vibrant to soft and subtle…with twinkling little stars shining all over the place. Love it! 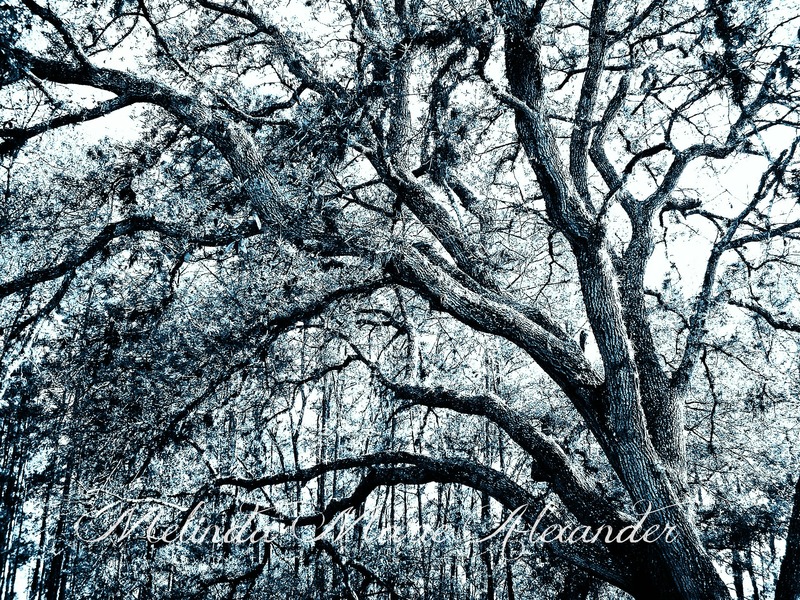 This entry was posted in Uncategorized and tagged blue, blue leaves, blue rain, digital prints, Etsy, facebook, fine art photography, haunted hollow, home decor, Melinda Marie Alexander, moonlight, nature photography, new photos, photographer, photography, photos, pinterest, Raven Hill Photos, ravenhillpottery.etsy.com, shades of blue, spooky tree, star dust, tree photography, typography print, wall art, wordpress by ravenhillpottery. Bookmark the permalink. its Blue Rain for me. Makes a great song title!